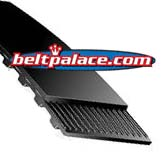 These Synchronous Belts are designed to replace those found in exercise equipment, office machines, power tools - such as Ryobi belt sanders, postage handling equipment, sewing machines, vending machines, agriculture, outdoor power equipment, wood & paper industries, sand & gravel industries, oil fields, food processing, and HVAC (Heating & Cooling) units. H Section Timing belts. 1/2" Pitch Trapezoidal Tooth Gear Belts. XH Timing belts. 7/8" Pitch Trapezoidal Tooth Gear Belts. XXH Timing belts. 1-1/4" Pitch Trapezoidal Tooth Gear Belts.